2018 PGA CHAMPIONSHIP (Thursday, August 9 - Sunday, August 12) - Bellerive Country Club in St. Louis, MO. 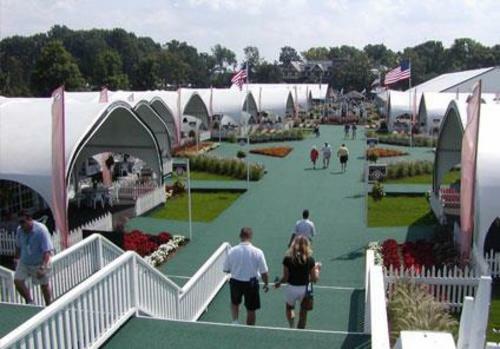 The lucky winner secures Fairway Passes including hospitality to the 100th PGA Championship for either Thursday, August 9, Friday, August 10, Saturday, August 11 or Sunday, August 12. The 2018 PGA Championship will be held at Bellerive Country Club in St. Louis for the course's third major championship. The PGA Championship is one of the four major championships in professional golf, where the winner of the package will be able to see the world's best golfers compete. The winner will enjoy premium, chef prepared meals and open bar in our private chalet. This is a memorable experience like no other.